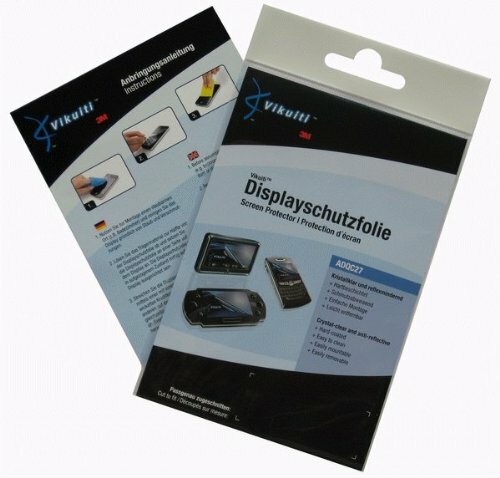 You will receive 1 high quality Vikuiti ADQC27 SCREEN PROTECTOR by 3M. Bubble free installation guaranteed ! This protector 100% fits and is exact with regards to the shape ! - Bubble free installation guaranteed! Anyone can manage a bubble free installation. Any air bubbles visible upon installation (not embedded dust) will disappear within 24 hours without further action. And of course, the film is completely removable. - High transparency, therefore hardly visible (crystal clear). - Anti-reflection display protection film. The special feature of this film is an additional anti-reflection coating that, in comparison to normal films, reduces the intensity of mirror images. The screen contrast can thereby be increased in high ambient light areas (if the screen is not already equipped with an anti-reflection coating). Black becomes even blacker. - Every type is custom made (no uniform sizes). - Effective scratch protection, very durable. - Detailed, illustrated and easily coherent instructions. Every type is custom made (no uniform sizes). If you have any questions about this product by Vikuiti, contact us by completing and submitting the form below. If you are looking for a specif part number, please include it with your message.